What do you get when you mix two D.C. kids, some dubsided records and a lot of J Dilla? Nadastrom, that’s what. Acclaimed by the pages of Rolling Stone and Spin, Dava Nada and Matt Nordstrom have been turning out revolutionary sounds for over a decade and SOCIAL couldn’t wait to hear their newest album, ‘Nadastrom’ LP, which released February 23rd. Nadastrom pioneered the Moombahton movement in D.C. and they’re known for mastering the fusion of club anthems and sultry, groovy house. Since then they’ve produced tracks for various artists including M.I.A., and have done remixes for Kid Cudi, Benny Benassi, Christina Aguilera, Waka Flocka Flame, the Death Set and Alex Clare. And what did we think of the album? It’s a combination of records you can kick back and vibe out to or get up and move to, enjoying the experience from beginning to end. ‘Nadastrom’ LP is an eclectic blend of music and style and the addition of vocalists such as Nina K, RYAT and Jesse Boykins III (who’s featured on our favorite track, “In the Air Part I”) take the tracks even higher.We sat down with Nadastrom to get inside their heads and talk about the new album and how the dynamic pair came to be. Q: Dave, Matt, thanks for chatting with me! I love the ingenuity of your name, who’s idea was the name Nadastrom? Dave: I think that was my fault. Easy name to google, haha. Q: And where are you guys from originally? Dave: I was born and raised in College Park, Maryland. Matt: I grew up on the other other side of D.C. in Northern Virginia. Q: And where are you located now? Matt: I’m in L.A. as well … over in Echo Park. Q: How’s La-La-Land been treating you lately? Dave: Love it! L.A.’s been good to me. It’s an inspiring time to be in this town… amazing people, music scenes, food, art, etc. It’s awesome to be around in such a creative environment. Matt: Honestly, it took me a good year to really adapt but once I did I fell in love. I had lived in the D.C. area my entire life so it was a welcomed change of pace and scenery. Q: You two have been creating music for over a decade, can you tell us how this collab came to be? Dave: Our good friend Tittsworth (real name) introduced us back in the summer of 2007. He thought we had similar taste in music and he was right! Matt and I would trade music and mixtapes over emails. Our gmail chat convos were epic back then haha. Anyway, I got offered to DJ a night at this small bar in DC and asked Matt if he wanted to play with me. We’d DJ all night and just play whatever we wanted…mainly weird house stuff, old dubsided records, and anything J Dilla related. That was the beginning of our friendship, and pretty much the beginning of Nadastrom. Q: What do you love about music and what you do? Dave: I’ve been hooked all my life. For me, music is something that doesn’t ever turn off. It’s therapeutic. I’m grateful other people can enjoy my music just as much as I love making it. Matt: I kind of feel like we have one of the greatest jobs in the world, to run around, play music for people that want to hear it and listen to the stuff we make is such a blessing. Music itself can make you happy, sad, angry, euphoric … and just because you don’t like something doesn’t mean that it doesn’t resonate with someone else. Q: What do you hate about the music industry? Dave: Whenever it’s not about the music. Q: What other singers, songwriters and/or artists do you see as your primary inspirations? Dave: My wife Jen, for starters. She’s an amazing singer, songwriter, and DJ. I learn a lot from her when it comes to writing music. Particularly dance music because she’s a veteran and a champ in the game. Bands that continue to be a big inspiration to me are Fugazi and Bad Brains. And not just because of their punk aesthetics, but their sound and writing. It’s still so very impressive and incredible to me. Matt: Like Dave my wife is constant source of inspiration to me …. she isn’t necessarily a songwriter or trained musician but her ear is impeccable and she is constantly turning me on to new things. She is incredibly honest as well and gives it to me straight (whether I want to hear it or not) when it comes to my own things that I’m writing and pushes me to make them better. 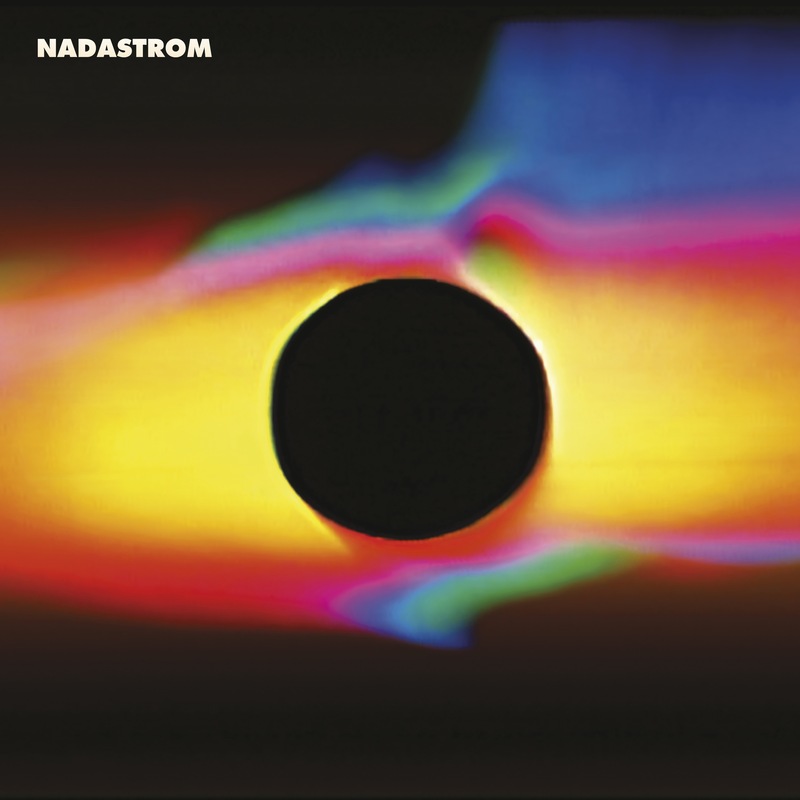 Q: Correct me if I’m wrong but I understand your self-titled album ‘Nadastrom’ LP comes out on the 23rd and it’s comprised of some seriously sultry house… Can you tell me more about what listeners are going to hear on this album? Dave: We really wanted to focus on it feeling like a cohesive album, so there’s definitely a certain tone that carries out from beginning to end. Matt: We wanted it to feel a bit like a DJ set with it being more about the entire thing as opposed to a couple of singles with some album cuts in ­between … a kind of “the whole is greater than the sum of it’s parts” deal. Q: Dave, you pioneered the Moombahton movement in D.C. and it’s made waves in the music scene ever since, for readers who aren’t familiar with this genre, what is it and what was your inspiration behind it? Dave: Moombahton started out by me slowing down house records to sound like reggaeton. So it’s a sort of fusion of the two genres, where it’s slower than house, but faster than reggaeton meeting halfway at a tempo of roughly 108 beats per minute. It has this dope syrupy vibe to it and can be a very versatile sound. It sounds best in the club on a great sound system. Q: Matt, you’ve previously been nominated for a Grammy, can you tell me what that experience was like and what song it was? Damien Marley win for “Welcome to Jamrock” and give a really humble acceptance speech. Q: Wow, that’s pretty incredible. You guys have produced tracks for a slew of artists, including M.I.A., Kid Cudi, Benny Benassi, Christina Aguilera, Waka Flocka Flame, the Death Set and Alex Clare… out of those artists who was the most fun to work with? Dave: For some cosmic reason, we’ve always had some cool connections with Alex Clare. He’s an amazing singer and songwriter, and we just kept having these ideas for some of his songs and he was down to have us remix them. Q: Matt, besides your keys/phone/wallet what do you never leave the house without? Matt: I try to have headphones with me at all times. Q: Dave, is there anyone in particular you’d love to work with? Dave: Would be amazing to vibe out in the studio with Dam Funk. Maybe sit in a session with those BADBADNOTGOOD dudes. Sade would be a bucket list for sure. Oh and D’Angelo! Q: Can you tell me who has been your favorite musical collaboration thus far? Q: Do you dance to your own songs? Matt: Yeah if it doesn’t make us move while we’re working on it then something is off. Q: What’s the most common misconception about you two? Dave: That we just play/make moombahton. Q: What do you do both do when you’re not working? Dave: Enjoying life with the wife. She’s gotten really into hiking and L.A. has tons of great hiking spots. Matt: I’ve been getting more and more into film lately, both old and new. I was blown away by Birdman and Whiplash this year. Music is pretty all encompassing tho… I started learning piano which I am really enjoying. Q: Dave, what’s your favorite piece of music that you’ve created? Dave: This Nadastrom album we just did! Q: Matt, what’s your favorite piece of music that you’ve created? Q: I loved your remix of “Plain” actually, it was one of the first songs I heard from you guys. So then what’s your favorite stuff to listen to when you’re working out? Dave: I like working out to mixtapes, mostly from Fade To Mind and Nightslugs label affiliates. Salva’s Peacemaker mixtape is on repeat. Matt: Oddly I’m rarely listening to music as I usually do some sort of video and have to pay attention to the orders being barked at me. Q: If you two had to be stranded on an island with one person in the world, who would that be? Matt: The misses of course. Dave: Yeah it can be pretty intimidating. But the rush you get from a moving crowd is so great that it eventually just turns into the most fun experience ever. Q: Where do you think Moombahton is going in the next 5 five years? Q: Dave, can you describe a day in the life of you? Dave: Average day goes something like this: 10am – coffee/food. 11am – emails. 12pm – hike/gym. 2pm – more food. Then rest of the day into the night is usually music/studio biz. Q: Matt, if you had a movie produced about your life, who would play you and why? Matt: Brad Pitt … definitely. Just kidding … I honestly have no idea … it’s hard for me to be objective about something like that and the only people I have ever been compared to are other musicians. Q: I think the world paints a pretty glamorous picture of the lifestyle of a DJ/producer is that pretty accurate for you two? Dave: There are definitely some perks in this lifestyle. But a lot of the times it’s just me chillin’ in my pj’s working on music. Not that glamorous, but easily the best job ever. Q: What’s the funniest thing that’s happened to you two lately? Dave: My friend Tem and I recently roasted Matt on the Nadastrom Instagram account. There’s a picture I posted from when we played the Mixmag LabLA and for some dumb reason we thought Matt looked like a man with a million jobs. Visit our instagram, you’ll see what I mean. Matt: Yeah that was pretty hilarious … I love a good roast … even if I’m the target. Q: All in all, how would you summarize 2014 for Nadastrom? Matt: A lot of fun working hard. Q: What else can we expect from Nadastrom in 2015? Dave: We look forward to touring to promote the new album. Can’t wait to see how people react to the new sounds. Q: And lastly, can you tell us a joke? Dave: I walked by a record store, the sign out front said they specialize in hard to find records and tapes…nothing was alphabetized!